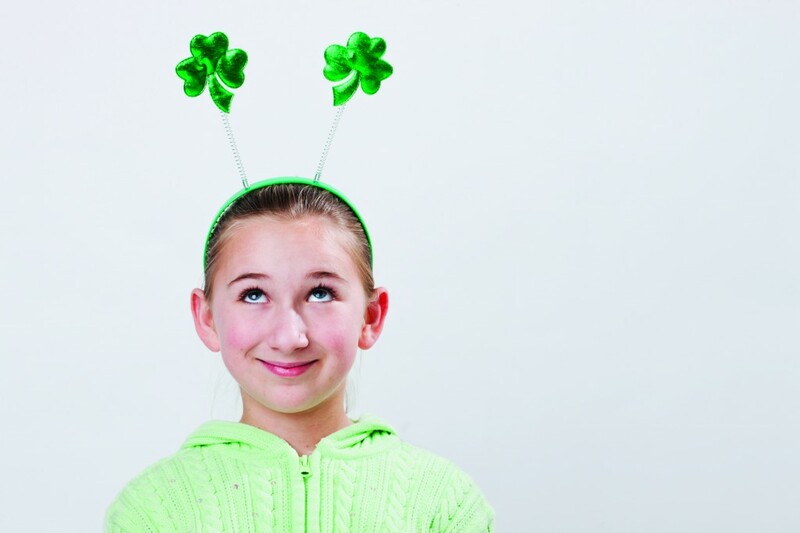 Various symbols and imagery breathe life into St. Patrick’s Day celebrations. In addition to Kelly green clothing, leprechauns and Irish flags, shamrocks are commonly seen decorating homes and people. 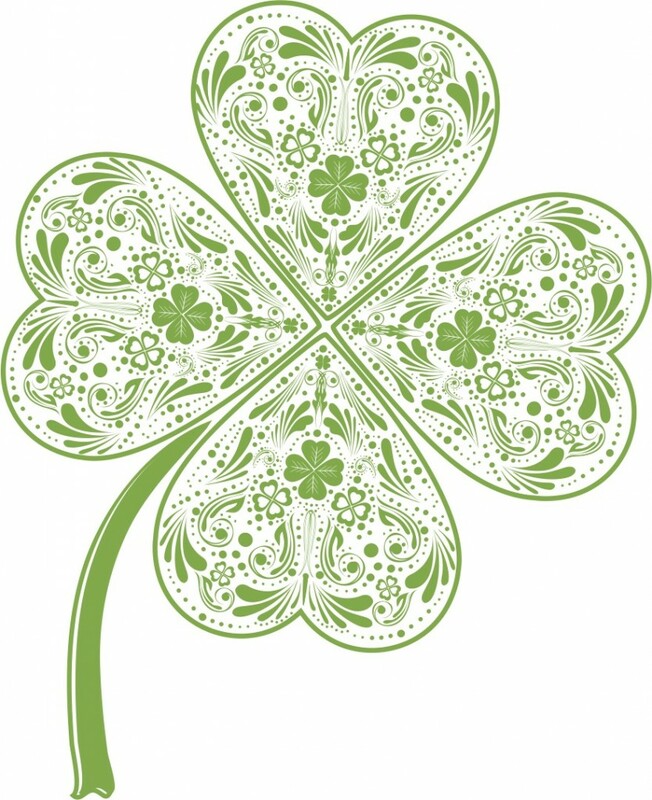 The word “shamrock” comes from the Irish seamrog, which is the diminutive form for the Irish word for clover, and translates roughly to “young clover.” Clover is a grass-like plant, and bees frequently use clover flowers as a prime source of pollen for honey production. Three- and four-leaf clovers are a stable of Irish imagery and are commonly referenced upon the arrival of St. Patrick’s Day. Prior to Christianity and the work of St. Patrick, the Druids believed that they could thwart evil spirits and danger by carrying a shamrock. A three-leaf shamrock would enable them to see the evil spirits and escape in time. A four-leaf clover was said to ward off bad luck and offer magical protection. The Druids helped establish the clover as a Celtic charm, and other folklore indicates clovers helped people see fairies and chase the little sprites. Around 400 AD, in many areas of the world, including Ireland, pagan beliefs were being pushed out in favor of Christianity. The Irish were slowly converted to a new method of thinking, and this included a new way of looking at some once-popular Pagan symbolism. According to Christian teachings, Eve is said to have carried a four-leaf clover out of the Garden of Eden when Adam and she were cast out by God. Some believe that those who grasp four-leaf clovers hold a bit of paradise in their hands. Some Christians also thought clovers were a symbol of the Holy Trinity, and some stories suggest that St. Patrick used a shamrock to teach principles of the Trinity to the masses. A three-leaf clover represents the Father, Son and Holy Spirit. Should a four-leaf clover be found, it is considered the Trinity plus God’s grace. The four-leaf clover looks like a cross, giving four leaf clovers special meaning to some people. 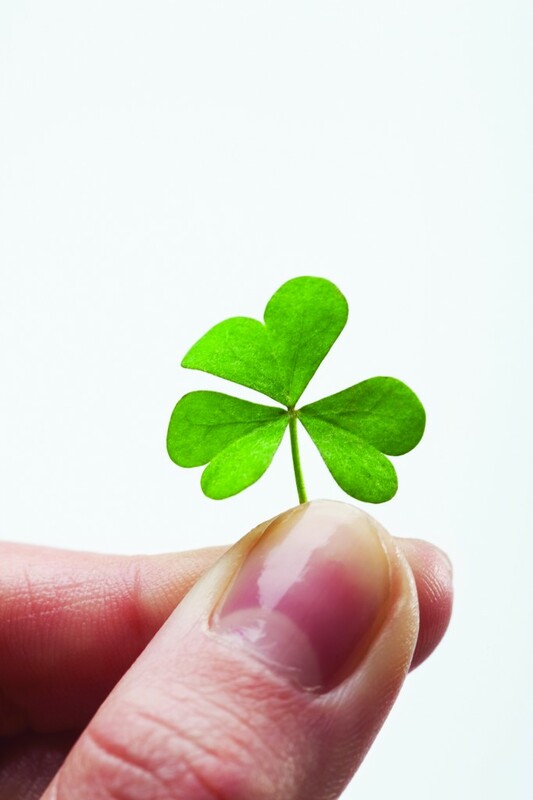 Of course, the rarity of four-leaf clovers makes some people who find them feel as if luck is on their side. Among naturally occurring clovers, the odds of finding a four-leaf clover instead of the more common three-leaf clover is 10,000 to 1. It may take some effort and quite a bit of luck to locate one with four leaves, and a five-leaf clover is considered by many to be unlucky. Save More with FrugalFrankieCoupons.com !